In the Swedish city of Eskilstuna, 100 kilometres west of Stockholm, shoppers are flocking to a mall with a twist. ReTuna Återbruksgalleria is a shopping centre dedicated entirely to repaired and up-cycled goods. 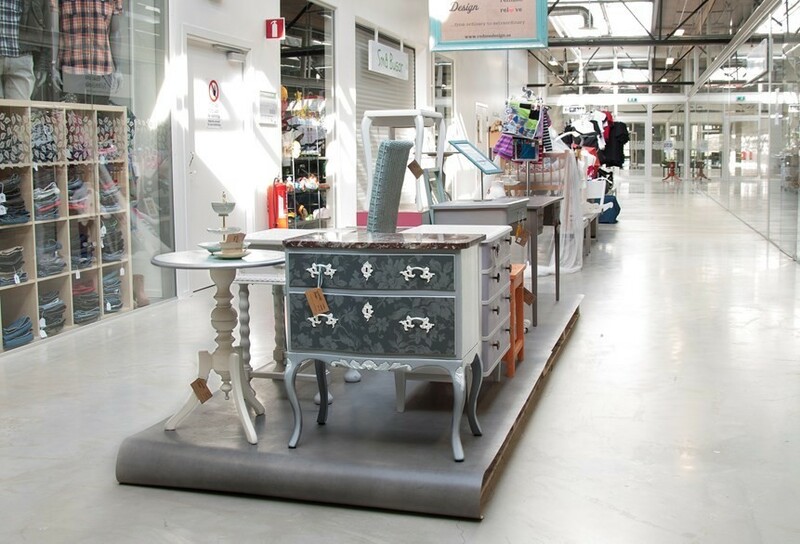 It opened in 2015, and distinguishes itself from what you might call an upscale yard sale by bringing together other vital mall elements: there are 14 shops, a restaurant, an exhibition area, conference facilities and even a training college for studying recycling. As outlined on the Make Wealth History blog, staff at the recycling depot intercept and sort incoming goods as they are dropped off, putting aside those that can be repaired or refurbished. These items are then passed on to workshops to be renovated and sold in specialist outlets for everything from furniture and building materials to computers and clothes. 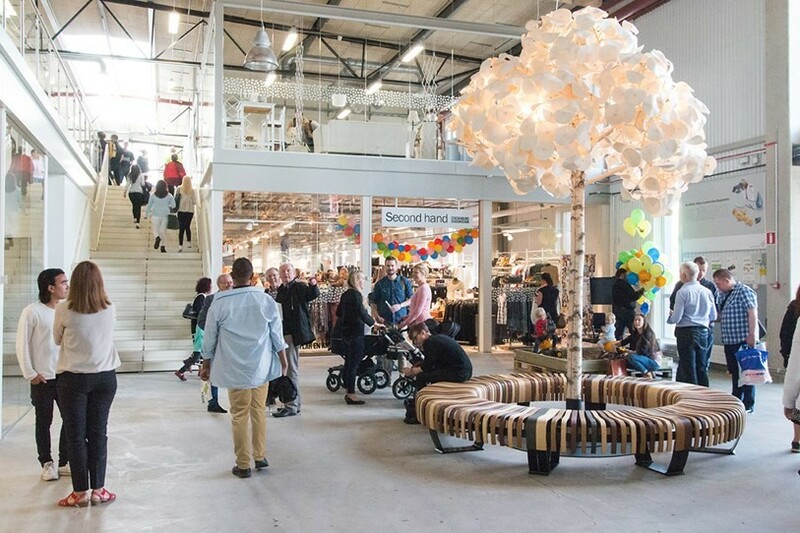 Shoppers at ReTuna Återbruksgalleria have reason to feel good about their purchases – they’re contributing to the circular economy, an alternative industrial model that encourages us to do more with less as the world’s resources become increasingly scarce. It's a concept much vaunted by the World Economic Forum, which in its 2014 report Towards the Circular Economy argued that “continued wealth generation requires a new industrial model that is less dependent on primary energy and materials”. The report, co-created by the Ellen MacArthur Foundation, claims that circularity could be a “tangible driver of industrial innovations and value creation” in tomorrow's economy, and that circular business models will gain a competitive edge in the years to come because they “create more value from each unit of resource than the traditional linear take-make-dispose model”. Certain industries are expected to be early adopters of this trend, such as the pulp and paper industry, thanks to a strong global awareness of how precious a resource trees are for the planet. Other industries are expected to follow as the economics of circular supply chains improve, driven by raw materials price rises and the falling cost of establishing “reverse loop” manufacturing processes. Of all the material groups that could play a part in the circular economy, plastics provide both the greatest challenges and the greatest opportunities. So much of what we buy and use today is made from plastic. Indeed, production of the material has grown by a factor of 20 over the past 50 years, according to a 2016 report, The New Plastics Economy: Rethinking the Future of Plastics. However, despite the huge amount of plastics we create and use, it's still rare to find a shopping outlet that deals in upcycled and re-used plastic goods. According to the report, only 14% of plastic packaging is collected for recycling globally, which means a great deal of pollution and an enormous loss of value. So what happens to the remaining 86%? It ends up incinerated, in landfill or as litter, often in the ocean. To avert this environmental catastrophe and realize the economic potential of all this wasted plastic, a new report launched at Davos this year proposed a re-think of the old mantra of reduce, re-use and recycle. Its proposal: re-use, recycle and redesign. The use of a wide range of additives during manufacturing makes it difficult to establish recycling processes, particularly when it comes to plastics. According to the report, part of the New Plastics Economy initiative, without fundamental redesign and innovation 50% of plastic packaging items – 30% by weight – will never be re-used or recycled. The report is optimistic that redesign and innovation can help boost recycling levels, citing the example of drink-can ring-pulls. The tear-off tab, being a small-format item, was difficult to collect and prone to becoming litter, until it was replaced in the 1970s by the stay-on tab that is prevalent today. As part of an action plan aimed at tackling this problem – backed by more than 40 business and government leaders at Davos this year – the New Plastics Economy initiative over the next year will launch two global innovation challenges: one aimed at kick-starting the redesign of materials and packaging formats; and one aimed at building a set of global common standards (a "global plastics protocol") for packaging design. As part of this, the Ellen MacArthur Foundation and design company IDEO have launched a Circular Design Guide aimed at inspiring designers, innovators and entrepreneurs to deliver the circular packaging solutions of the future.